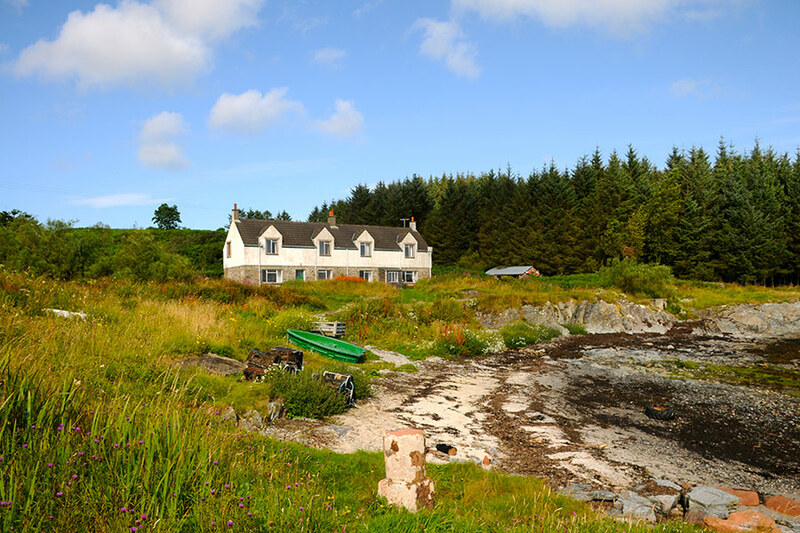 Port na Chro are a pair of semi-detached cottages within a beautiful secluded bay, surrounded by fields and woodland. 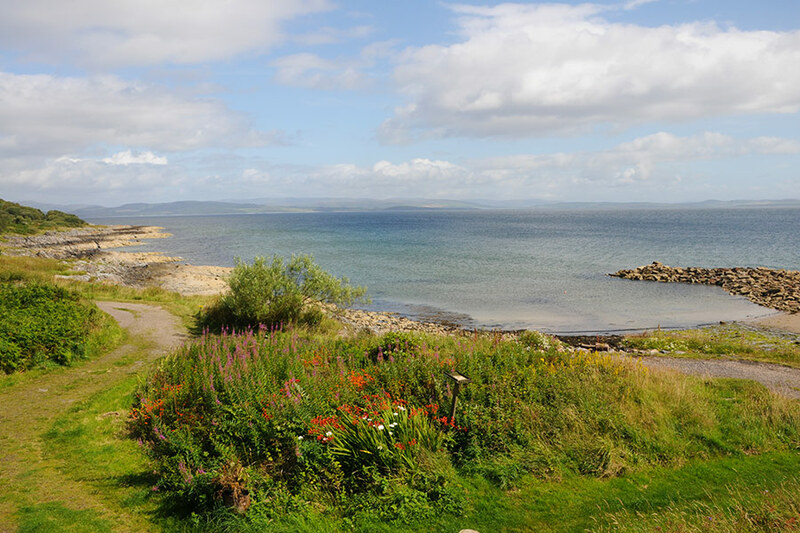 Remnants of an old stone quay protect a sandy beach, with breathtaking views to Arran and Bute beyond. 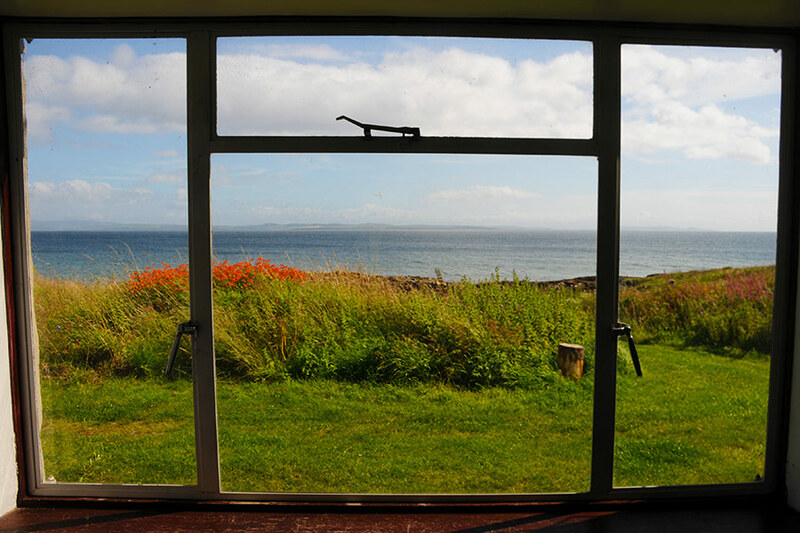 A peaceful place to relax, unwind and explore your own stretch of shoreline. 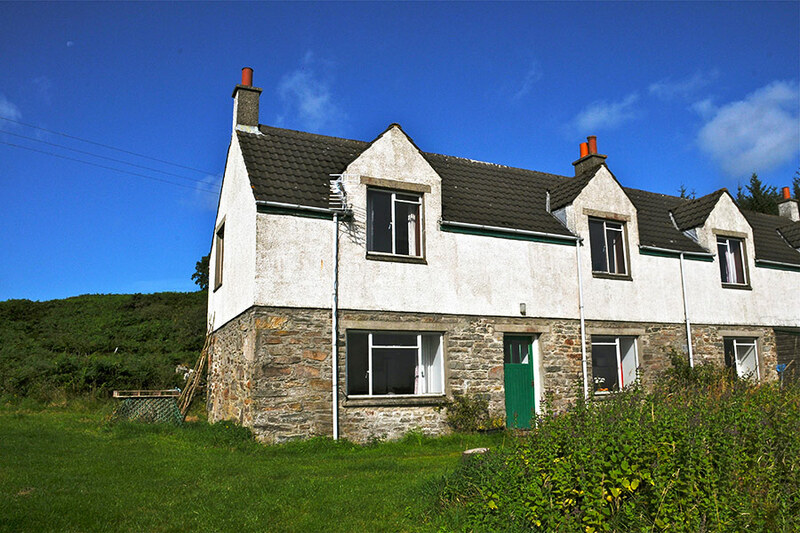 Situated two miles North of the village, at the end of the lane. 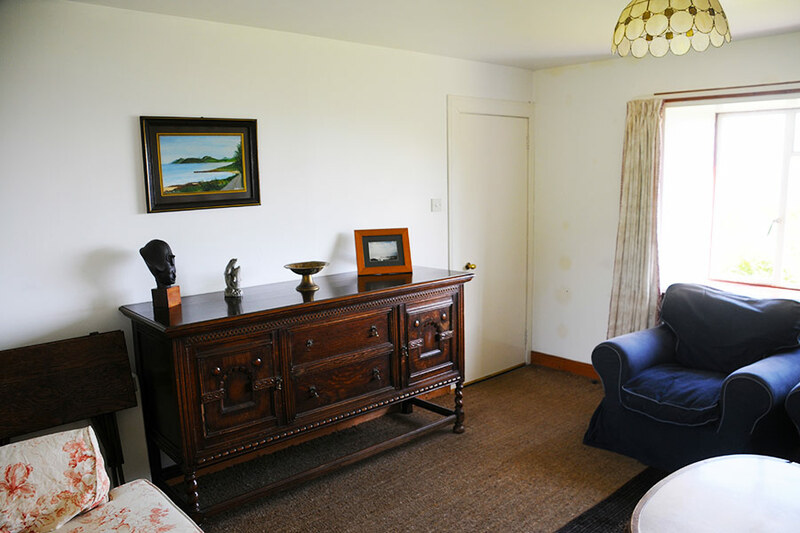 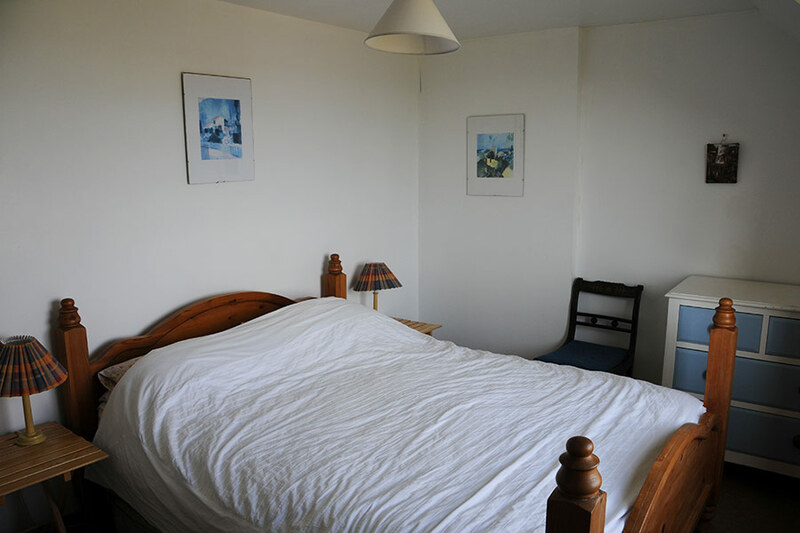 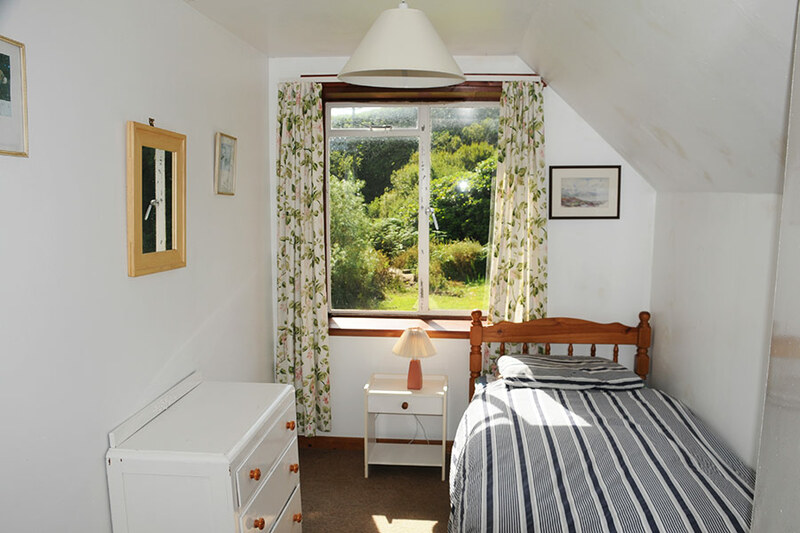 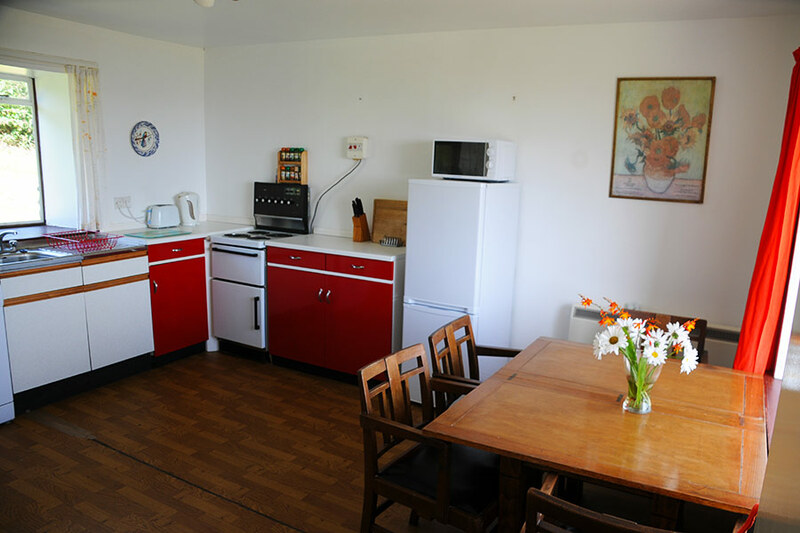 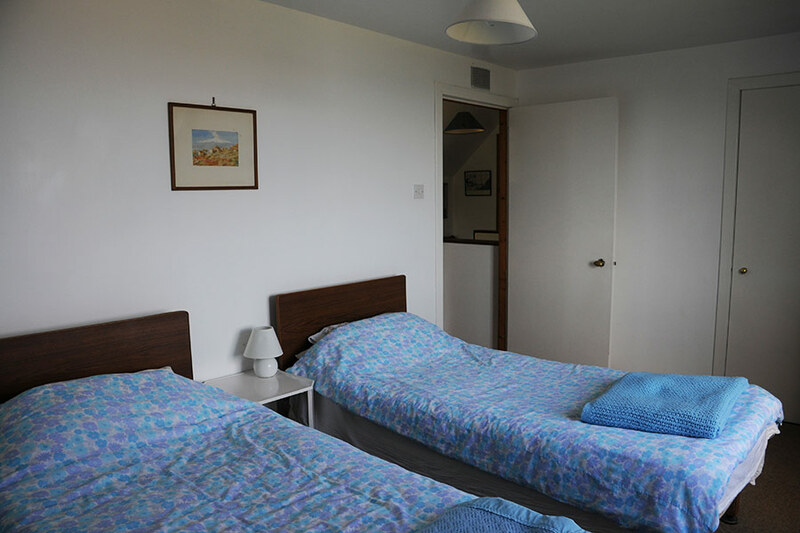 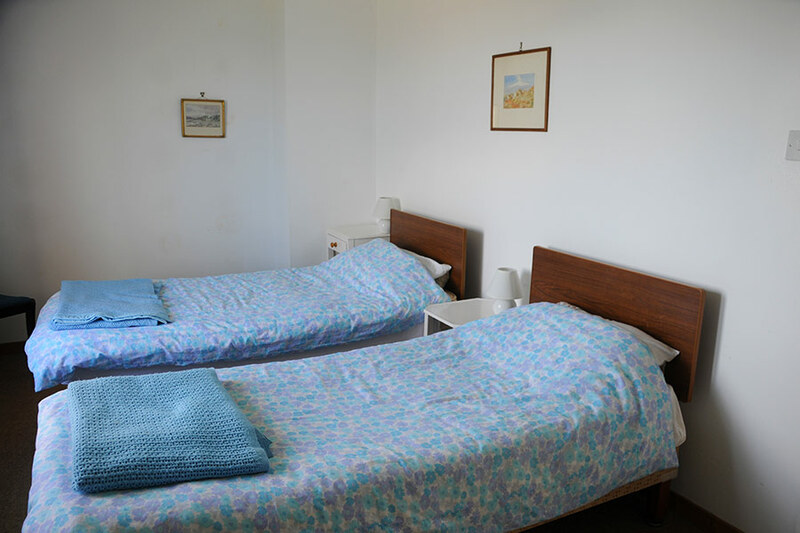 For larger groups these cottages can be booked together and will sleep 11-12 people. 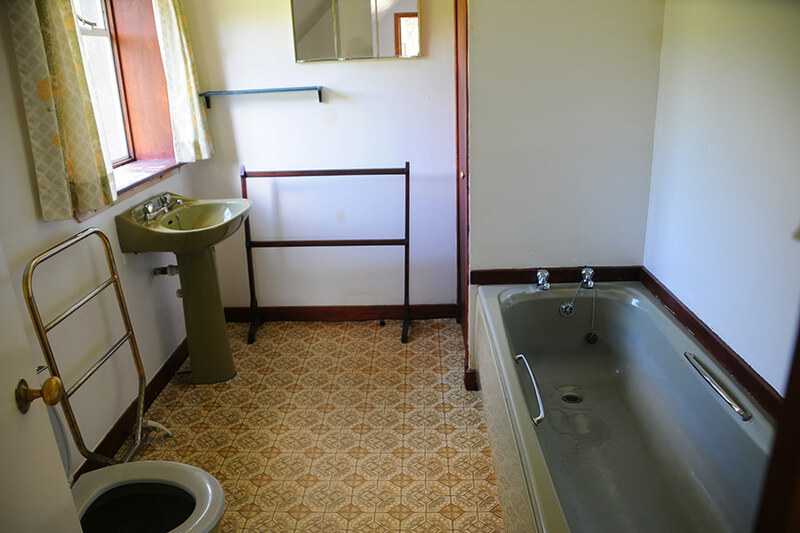 Port na Chro South has a family bathroom and 3 bedrooms upstairs (1 king, 1 twin and 1 single). 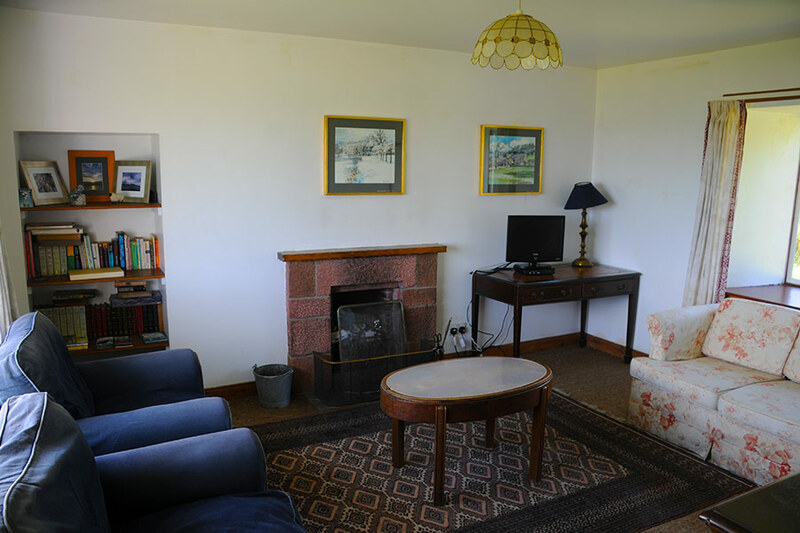 Downstairs is a sitting room with open fire and a separate kitchen/diner. 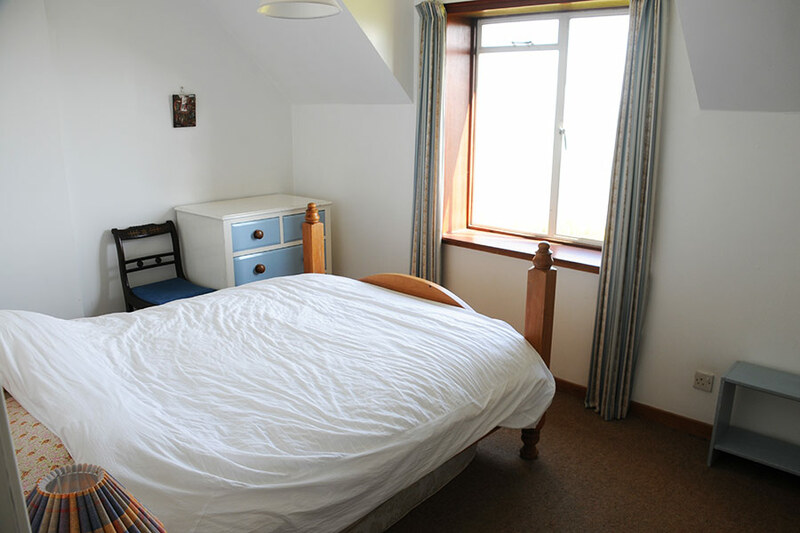 Other sleeping options are provided by a foldaway mattress and a double sofa-bed in sitting room.